By the time the Human Genome Project announced it had a working draft of the DNA sequence of the human genome in 2000, Scott T. Weiss, MD, MS, found himself in a fortunate position—he was fully funded to dive right into the research of asthma and genetics. With adequate financial backing, Dr. Weiss and his team at the recently renamed Channing Division of Network Medicine (then Channing Laboratory) at Brigham and Women’s Hospital in Boston, positionally cloned the gene for the vitamin D receptor as a gene for asthma. They subsequently discovered that a deficiency of vitamin D in pregnant women could lead to asthma in their offspring. From this, he and his colleague, Augusto A. Litonjua, MD, developed a theory of how vitamin D deficiency might have fueled the asthma epidemic. It took them just five years from the identification of the VDR gene’s relationship to asthma to the beginning of a clinical trial, the results of which will be available in just a couple of years. “That’s a specific example of something that came directly from genomics that’s having a huge impact in translational medicine right now,” Dr. Weiss says. Now there are several primary and secondary prevention trials under way that examine vitamin D and the potential to reduce the amount of steroid or enhance the effect of inhaled corticosteroids to prevent asthma exacerbations as well as prevent asthma altogether. “If we could actually prevent asthma by giving pregnant women and their offspring vitamin D, it could have an immense effect public health wise,” Dr. Weiss says. Dr. Weiss’s research was published in the American Journal of Respiratory and Critical Care Medicine (AJRCCM) and in part, earned him an ATS Recognition Award for Scientific Accomplishments in 2008. In addition to serving as the co-leader, with Edwin Silverman, MD, PhD, of the Channing’s unit of Systems Genetics and Genomics, Dr. Weiss is the director of the Partners Center for Personalized Genetic Medicine, where he leads a 100-person group focused on translational genetics. He’s also professor of environmental health in the Respiratory Biology Program at the Harvard School of Public Health, and a professor of medicine at Harvard Medical School, and Brigham and Women’s Hospital’s Channing Laboratory where he developed a 30-investigator, 110-person research group involved in examining the environmental exposures and genetic risk factors for the development of asthma and COPD, long-standing areas of interest to him. There have been detractors who say that while the Human Genome Project has been a boon to scientific research, it has done very little for clinical practice. But this view is shortsighted. “The progress that has been made in the past 10 years has been astounding,” he says, citing his own research. “You have to look at this as a 30- to 50-year phenomenon, not a ten-year phenomenon. Dr. Weiss earned his MD from Case Western Reserve School of Medicine in 1972 and his MS from Harvard School of Public Health in 1977, specializing in epidemiology. After completing a clinical fellowship at the Harvard Medical School in 1975, he began a respiratory epidemiology research fellowship with Dr. Frank Speizer at the Channing Laboratory. Up until his senior faculty appointments at Harvard in 1996, Dr. Weiss split his time evenly between research and clinical work. He served as chief resident at Beth Israel Hospital in Boston and later became the founding chief of the hospital’s Pulmonary Unit. At Beth Israel, he has helped train several ATS leaders, including his brother, J. Woodrow Weiss, MD, who now serves as chief of the unit, and Gregory P. Downey, MD, professor of medicine at National Jewish Health in Denver. Over the course of his career, he’s mentored 33 trainees (all of whom remain in academia), written and co-authored 556 papers and four books—including a comprehensive textbook of Respiratory Genetics—and has taken part in several international projects and workshops. An ATS member since 1976, Dr. Weiss has served in a number of committees, chaired the Assembly on Environmental & Occupational Health, served on the ATS Board, and helped the Society create the Section on Genetics and Genomics. 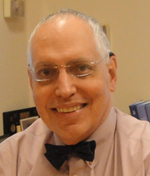 He’s on the editorial board of the AJRCCM, and also served as an associate editor there for several years. “There are a lot of really exciting good young people in pulmonary medicine who are embracing genomic technologies and what they can do,” Dr. Weiss says. “For me, it’s been really gratifying to see how you can use genomics to do translational research. But this is an untold story. Dr. Weiss credits his late father, Robert J. Weiss, MD, with inspiring him to study medicine and pulmonology in particular. Dr. Robert Weiss contracted tuberculosis and lost 2/3 of his right lung, but he pushed on to become chair of the Department of Psychiatry at Dartmouth Medical School and then the first dean of the School of Public Health at Columbia University. Dr. Scott Weiss’s brother, J. Woodrow Weiss, MD, is the chief of Pulmonary Medicine at Beth Israel Hospital in Boston and professor of Medicine at Harvard Medical School. His sister, Elisabeth T. Weiss, MD, trained at Beth Israel and recently retired from private practice of internal medicine in Bangor, Maine. If we could actually prevent asthma by giving pregnant women and their offspring vitamin D, it could have an immense effect public health wise.